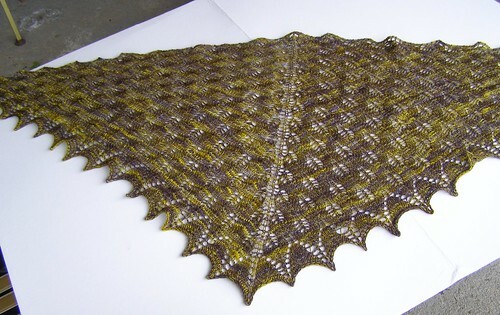 a wedding shawl for my friend julie. what a great, simple, elegant pattern. since i went down a needle size, i added 4 extra repeats of the pattern before the edging… and unbelievably came in at under one skein of yarn. 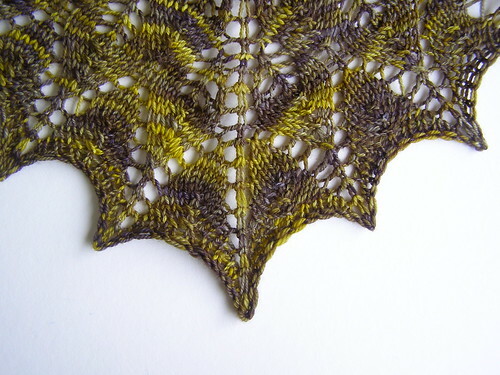 i also finished all the way to the bind off once before – adding 2 extra repeats and then decided it was too small. good thing i ripped because i think it turned out perfect. all my love on the wedding julie! 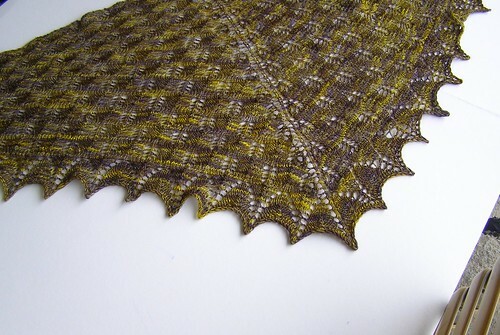 This entry was posted in community, knitting, shawls by cosymakes. Bookmark the permalink. This is beautiful! I didn’t think that you did lacework on small needles. that is just beautiful – in appearance and gesture! Gorgeous!! No doubt she’ll treasure it forever. It’s beautiful! 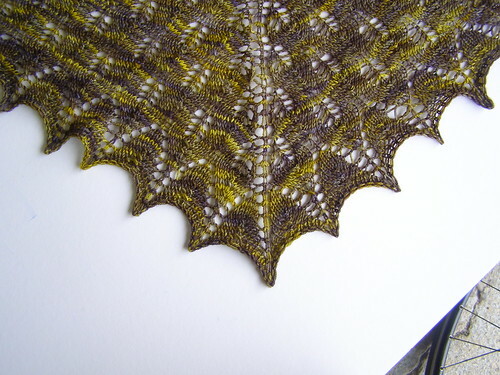 I just cast off (last night) my second Shetland Triangle and I am totally hooked on lace shawls now! The yarn and pattern are such a wonderful match. Tis a great wedding gift.